A little-known fact is that eye drops can be deadly, but that is exactly what brought Steven Clayton to his untimely end at the hands of his wife. His killing ultimately came to be after she slowly poisoned him by putting eye drops in his water. Back in 2016, Lana Sue Clayton shot her husband with a crossbow, nearly killing him. Police ruled the incident an accident. Steven Clayton appeared to be in denial when he told police he "did not believe his wife was trying to kill him." Clayton defended his wife Lana Sue Clayton even after she stood over his sleeping body and shot him with a crossbow. In May 2017, just one year after Steven Clayton was shot by the crossbow, investigators declared the shooting an "accident" and "no intent to commit a crime was found." Two years after that, Clayton is dead, and investigators know just who to start looking first, Lana Sue Clayton. Steven was found dead on July 21 of this year; his wife told deputies he had been suffering from vertigo for days when she found him face down at the base of the stairs leading into the foyer. Last week, Steven Clayton's wife confessed to the murder. 16th Circuit Solicitor Kevin Brackett said, "We are making a comprehensive review of all events in the relationship between the defendant and the victim. We will be taking a look at the relationship and the 2016 incident." 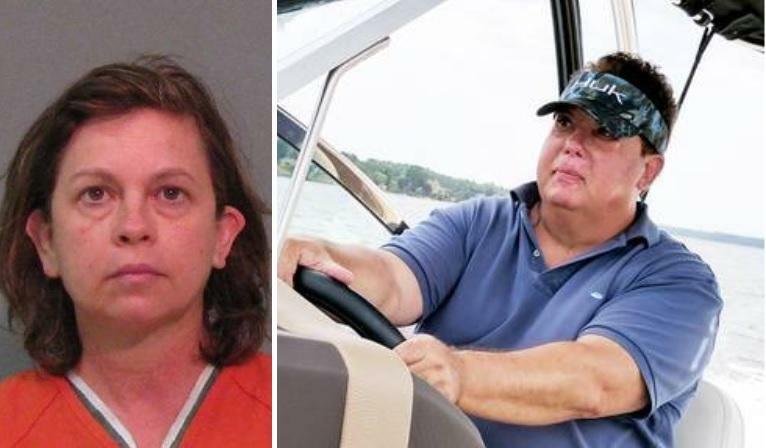 The 52-year-old now-widowed Lana Clayton was arrested on Friday. Police say she poisoned her husband's water with a chemical called Tetrahydrozoline which is most commonly found in eye drops. A toxicology report confirmed the presence of the deadly Tetrahydrozoline and Lana Clayton soon offered a confession when presented with the evidence against her. Lana's story now sounds an awful lot like Jodi Arias since she told investigators she would become "crying and upset" when her husband was mentally abusive during his "mood swings." Although she admitted he had never "hit her" in a 2016 report. Lana Clayton remains in jail without bond on a first-degree murder charge and malicious tampering of food. i'm going to stop using eyedrops…. this story sounds hokey as hell. This is why we have divorce.